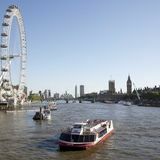 "City Cruises offers more ways of enjoying a cruise on the Thames, day or night. City Cruises fleet of sightseeing boats is one of the most modern on the river and designed especially with the sightseer in mind. That's why you'll find all the sightseeing boats feature large, open-air decks, which are the best way to see London pass by, even on the days that the sun doesn't shine. A cruise on the Thames is a fun and engaging way for the entire family to explore the city. 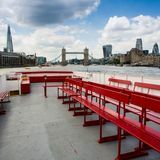 In addition to Sightseeing tours, City Cruises offers specialist products for both day and night, including Lunches and Afternoon Tea cruises, RiverLights/Sundowner evening cruises with bubbly, canapés and live music and the London Showboat and Thames Jazz dinner cruises with live entertainment. Keep an eye on the events page for the latest special events. City Cruises boats are also available for private hire. Contact us for more information." By sending this booking your details will only be sent to City Cruises and will never be shared with other third parties. By clicking this box you agree to the Terms and Conditions set out above. 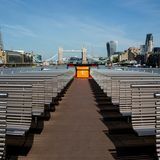 You can book to reserve an area of City Cruises for you and your friends. Just enter your requirements below to see what they have to offer. What did you think of City Cruises?